A few weeks ago I joined my friends on Good Morning Washington to talk Budget Beauty and how to build up your beauty collection on the cheap. One of the tips I shared was to try Beauty Boxes. 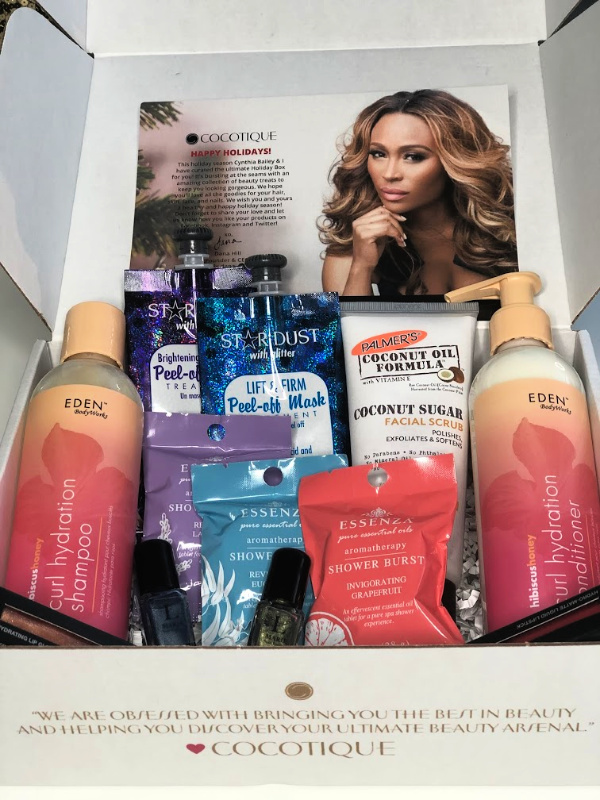 When it comes to beauty boxes, there are myriad options to choose from. You can sign up for monthly subscription box or grab a one time purchase if you’re not into commitment. 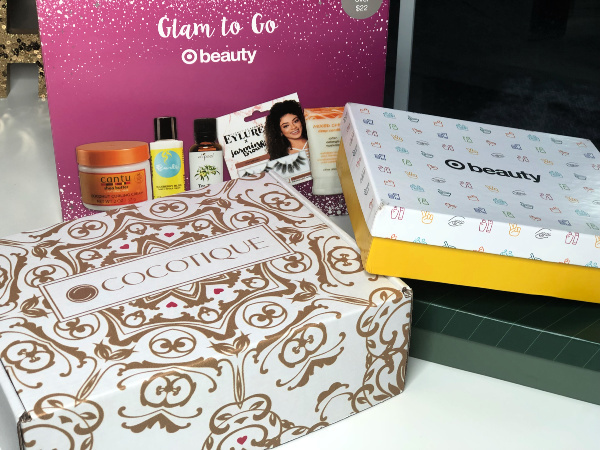 Whichever you choose, beauty boxes are a great way to try new makeup, hair, skincare products without breaking the bank. I just got my first Cocotique box recently and I LOVE it. It had FULL-SIZE bottles of one of my fave haircare brands and a few products from brands I hadn’t heard of before. I like the mix of familar and unfamiliar so I can discover new things. You’ll get 5-8 full Size and deluxe sample sized beauty and lifestyle products from hair care to skincare to makeup and more! I haven’t tried Ipsy yet but they’re on my ‘to try’ list. I was subscribed to Juleps nail box eons ago but haven’t tried the beauty box yet. The nail subscription was good so I’m sure the beauty subscription is legit too. I was subscribed to Sephoras Play! box for a few months last year. I enjoyed most of the products I received but I canceled the subscription because I felt like many of the products (mostly hair products) I received didn’t work for women of color, specifically those of us with natural hair. Every month you’ll get a curated selection of new and best-selling products, from makeup to hair care to skincare to fragrance. *BirchBox, Macy’s and Allure are all on my ‘to try’ list. Get a personalized mix of makeup, hair, skincare, and fragrance samples a from both prestige and niche brands. Get $1 back in loyalty points (and free shipping) for every $10 you spend when you purchase full-size versions of your fave samples the BirchBox Shop. You’ll get 5 deluxe beauty samples (and a bonus), a cute pouch and $5 off your next beauty purchase. My latest Target Beauty Box purchases. One for Hubs and one for me. The Target Beauty Box is easily my favorite. I love that it’s not a subscription so I can buy or not based on if a box has products I’m interested in trying. They sometimes also have boxes specific to men and certain holidays. Over the Christmas holiday there were several different boxes that made for dope gifts. 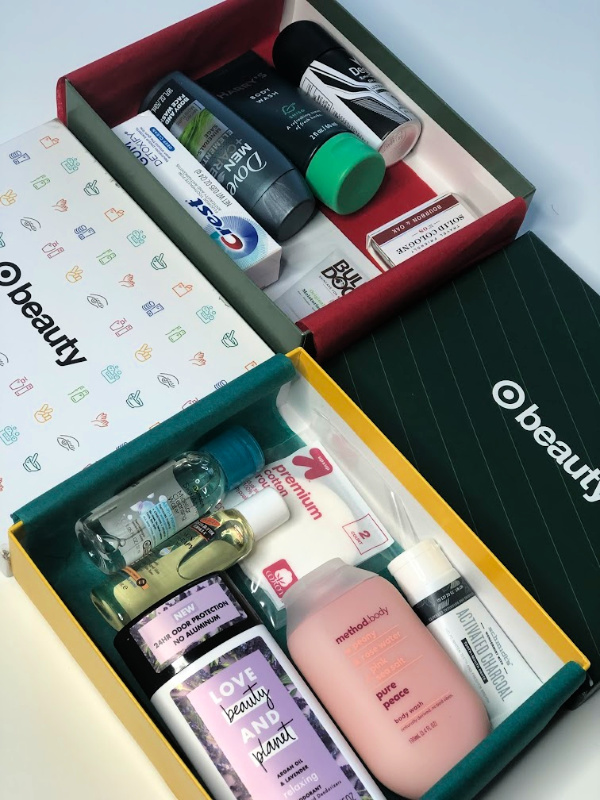 Every month, Target launches at least one new themed box of beauty or grooming samples. Shipping is free and it usually includes a coupon for a discount on your purchase of the full sized items. Curl Box has been on my radar FOREVER but I’m so lazy about my hair I really only use a handful of products and they work fine so, if it ain’t broke… But you can’t deny how dope this brand is so they make the list just because. What say you? Are you subscribed to any beauty boxes? Do you have a favorite? I’m really picky with my makeup so having random pieces is kinda “eh” to me, but the more I see these being advertised, the more interested I get. I would definitely take advantage of the Sephora Box! I have tried several of these and I agree Target is the best deal out there. I really like when they curate boxes for women of color. You’ve tried a lot of boxes! IVe tried the curlbox subscription a couple of times now, and it’s worth it! I’m the type that finds a product and just sticks to it though. I am working to get my beauty situation together. I am not there yet, but this is a great way to do it. I had no idea so many brands offered a box. This was good information because I had no idea that Target had Beauty Boxes. I’m gonna have to subscribe because I love anything from Target. I considered the Sephora beauty box, but I have no idea why I didn’t subscribe. That may be another one imI will invest in. Thank you!! Wait, Target has one? Lawd, I don’t need to give them another DIME of my money. It’s cool that they have them for men too. I think I want to try that Sephora one too. Didn’t know they had one. I’m slippin slippin! Thanks for sharing! I haven’t tried any of the boxes you profiled, but the Target box is most likely what I’d try. The price and no commitment make it appealing to me.